If you eat too much sugar over a long time, you may develop type 2 diabetes. The correct answer is false. 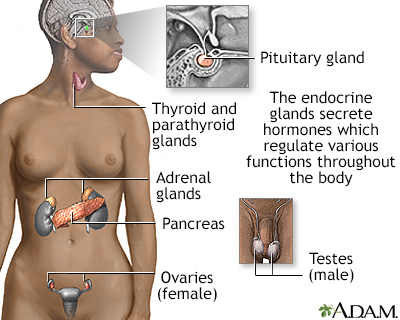 Diabetes is caused by a problem in the way your body makes or uses the hormone insulin. 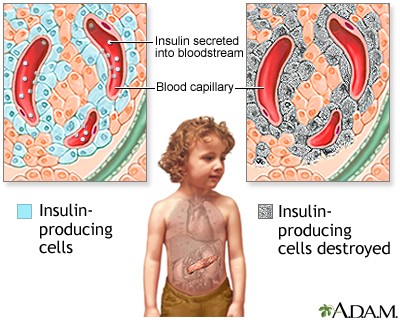 Insulin helps move blood sugar (glucose) into cells, where it is stored to be used for energy. Eating too much sugar won't cause diabetes. But it may make you overweight, which can put you at risk for diabetes. Being overweight makes it harder for your body to properly use insulin. The correct answer is true. Extra fat in the body makes it harder for the body to use insulin properly. This is called insulin resistance. Losing excess weight and being active can help prevent or reverse insulin resistance. 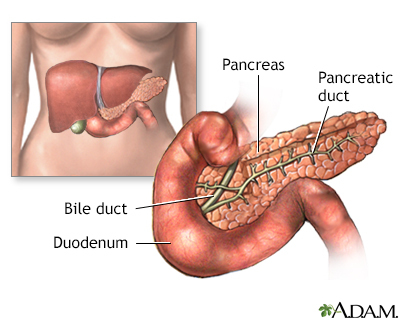 Which of the following health conditions does NOT put you at risk for type 2 diabetes? The correct answer is asthma. All of the other conditions increase your risk for diabetes. If you have any of these conditions, work with your doctor to control your risk factors for diabetes and heart disease. You can have diabetes for years and not know it. The correct answer is true. 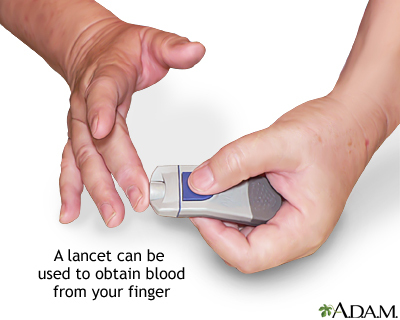 That's why it's important to talk with your doctor about whether you should have diabetes screening tests. People with high blood pressure, who are over age 45, and those who are overweight and have other risk factors should consider being tested for diabetes. 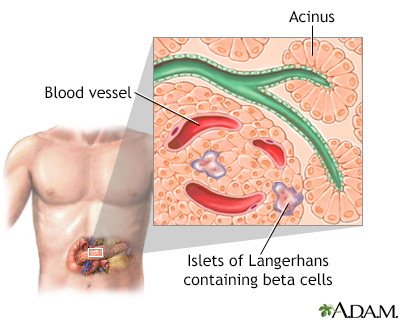 What are early symptoms of type 2 diabetes? The correct answer is all of the above. If you notice any of these symptoms, talk with your doctor. 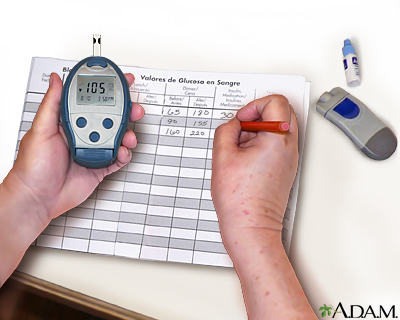 If you have a blood sugar level higher than ____ , your doctor may test you for diabetes. 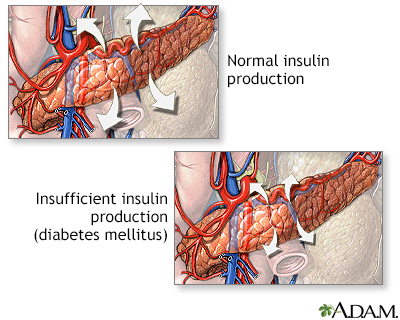 What health care problems are caused by diabetes? The correct answer is all of the above. 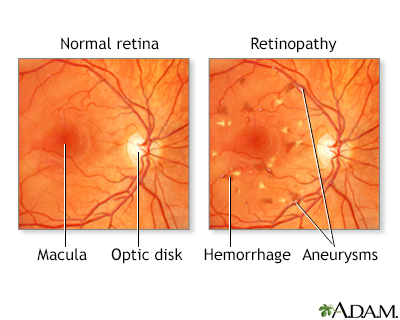 Over time, too much sugar in the blood can harm your eyes, kidneys, nerves, skin, heart, and blood vessels. Talk with your doctor about the best ways to keep your blood sugar, blood pressure, and cholesterol level in a healthy range. 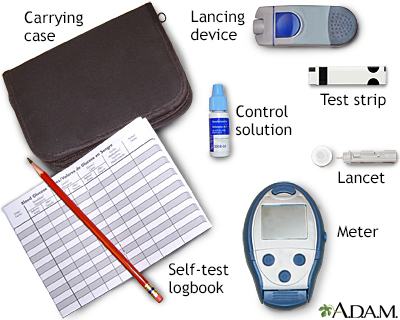 Which are treatments for type 2 diabetes? The correct answer is all of the above. The main treatment for type 2 diabetes is diet and exercise. If you still have trouble managing your blood sugar level, you may need medicine or insulin. Work with your health care provider to learn how much fat, protein, and carbohydrates you need in your diet. 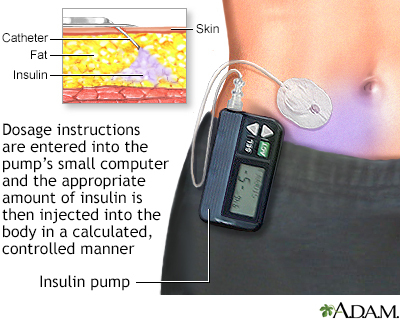 If you have type 2 diabetes, you will have to inject insulin. The correct answer is maybe. 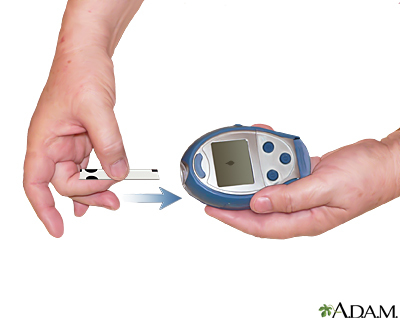 Many people can control type 2 diabetes with diet and exercise and diabetes medicines if needed. 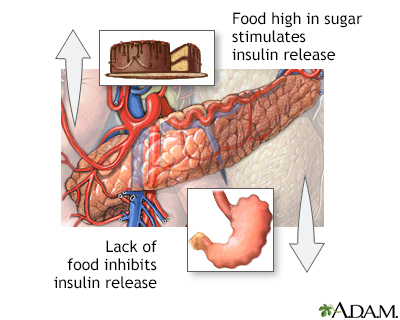 However, if your blood sugar remains uncontrolled, you may need to inject insulin. Having diabetes increases your risk for heart disease. The correct answer is true. 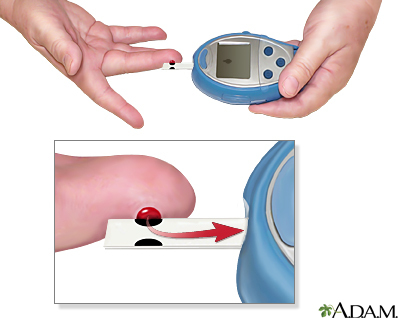 Diabetes directly affects your heart, plus it makes it hard to control cholesterol. This can lead to heart disease and other problems. A healthy diet, regular exercise, and eating less salt can help control diabetes, blood pressure, and cholesterol. This will reduce your risk of heart disease. Some people with diabetes no longer need medicine if they lose weight and exercise. The correct answer is true. Some people with type 2 diabetes no longer need medicine if they lose weight and become more active. When they reach their ideal weight, their body's own insulin and a healthy diet can control their blood sugar levels. 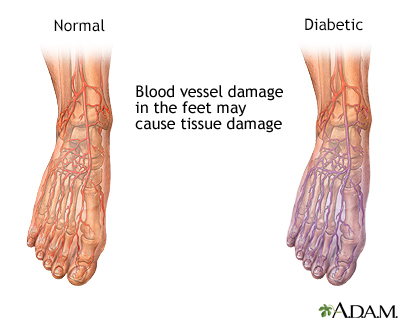 People with diabetes are at risk for blood vessel injury, which may be severe enough to cause tissue damage in the legs and feet. 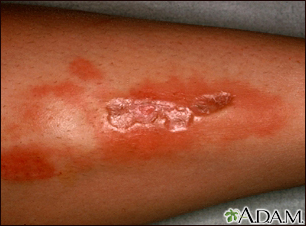 Necrobiosis lipoidica diabeticorum is a chronic skin disease characterized by shiny plaques that vary in color from light yellowish to reddish-tan. It is seen more commonly in women. Although the name implies diabetes and the majority of cases occur in diabetics, this condition can occur in individuals without diabetes.